Attention USQ fans: this weekend will be the best weekend in quidditch until April 14-15. 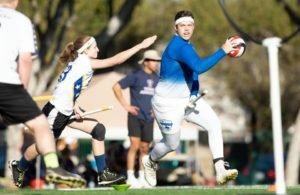 Two tournaments this weekend—Alamo Cup and the Heroes vs. Villains Invitational—will feature 11 of the top 15 teams between the two events, bringing some of the highest-rated squads from across the country to compete in concentrations that are uncommonly seen outside of Nationals. 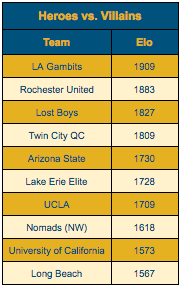 Of the 26 teams competing at these events, 23 of them are rated above the average USQ Elo (1471). Every team attending Heroes vs. Villains lies significantly above that margin, making it the largest tournament this season lacking a team below the average Elo rating*. Not only do these teams have high floors, but the ceiling of the teams playing is higher than any other weekend this season. 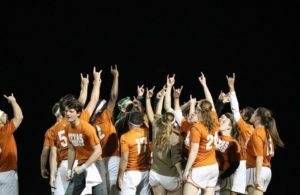 Alamo Cup features four of the five best teams in the country, and Heroes vs. Villains has three of the best 10. 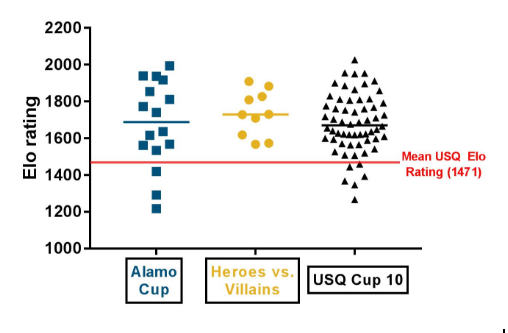 The median Elo rating of teams from these tournaments (1729 for Heroes vs. Villains and 1688 for Alamo Cup) are both higher than that of last year’s US Quidditch Cup (1671). While neither of these tournaments will likely cause any serious shakeup in these teams’ chances as contenders, the high quality of teams and regional diversity at these tournaments will mean they will offer some of the highest-caliber games to watch this regular season. You can check out livestreams and coverage of games from both tournaments on The Eighth Man’s Facebook page all day Saturday. *The only other tournament that can claim this was the eight-team Golden Bear Invitational. 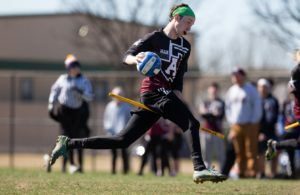 A native of Cincinnati, Ohio, Joshua Mansfield began playing quidditch when he founded the Tulane University team in 2013. He currently plays for Texas Hill Country Heat and serves as the Gameplay Director for Major League Quidditch. Additionally, he is the third-largest consumer of cilantro in the greater New Orleans area.